I have been using "ABS juice" applied to glass sheets on top of a heated bed for a long time now as the only reliable method I have found to get parts to stick well. The one thing that continues to annoy me is having to reapply the coating between prints. The issue is that the film of ABS does not stay stuck to the glass when it's cool, rather it stays stuck to the part printed on it (which makes perfect sense). What I have been looking for is something that will stick really well to the glass and ABS when hot but only to glass when cold. 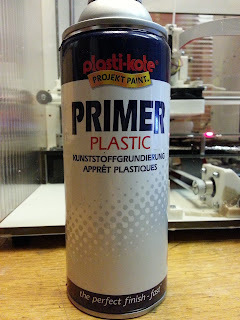 This is a quick report on Plastic Primer, designed to get "Plastic" style paints to stick to anything, including glass. It's the best thing I have found so far but it still does not work that well! The problem is the primer sticks really well at low temperatures <50C but becomes tackier the warmer it gets and by the time it's up to ABS bed temperature it does not stick to the glass very well. The best results I got were after repeated applications of a thin coat of primer, followed by a wipe with ABS juice. The acetone dissolves the primer, making an ABS and primer mixture. This mixture sticks to the bed better than pure ABS Juice and sticks to the object better than pure primer. Setting the heated bed to the right temperature is also key: too hot and the primer/juice mixture lifts off with the part, too cold and the abs warps and lifts off the bed. 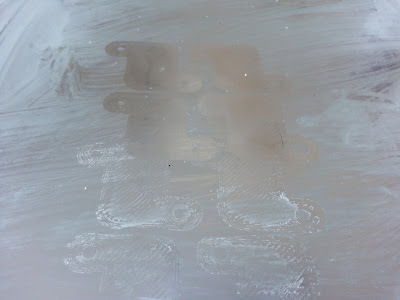 In the picture below the marks towards the centre are from when the bed was too hot (100C) - almost clean glass left. The marks towards the front are with the bed too cold (60C). 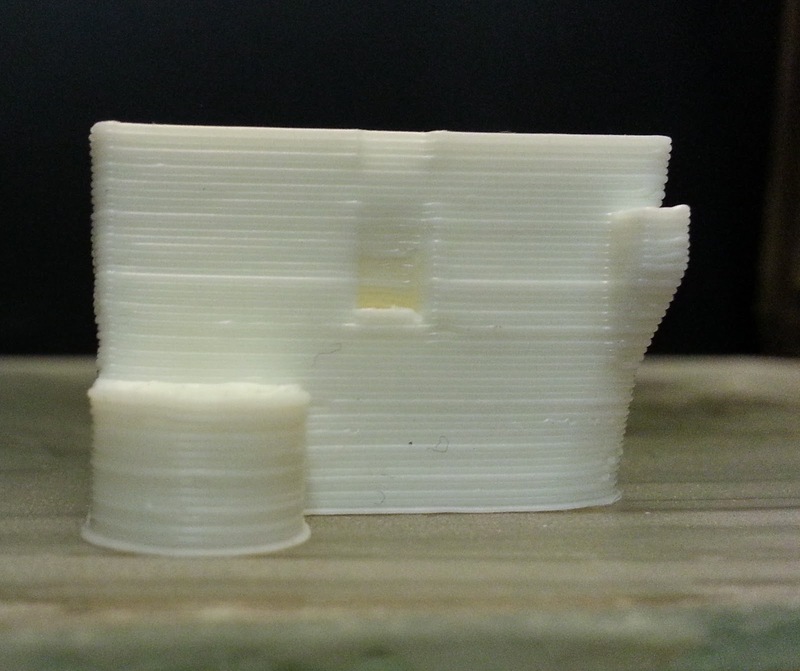 That said, this method was far from ideal, and appears to only work with parts that are not very prone to warping. So..... if anyone knows of an adhesive/primer/something else that sticks really well to glass at 20C to >100C, sticks really well to ABS at >100C but does not stick to ABS at room temperature then let me know! I don't use ABS all that much but my setup is mirror-glass with PET tape on and then a film of hairspray - it must be a type that has VP/VA COPOLYMER in the ingredients and 100 degrees C bed-temp. I use hairspray on glass for PLA with success but i agev gone away from using any for of tape for quite a while though - always having to replace tape got dull very quickly. How long do you find the tape lasts using tape+hairspray? Also do you re-hairspray every time or occasionally? Works really nice on the first try! The google translate is a little sketchy (better than my German though!) Did you try the Carbon heater plate or the "continuous pressure plate?" what is made from? I print those on glass day after day with absolutely no warping since I rounded the corners. I use a 17V PSU for the PCB bed though. When the glass is new I apply very dilute ABS juice and bake it on at 130C for a couple of hours. After that I wipe it with acetone every build and ABS juice once a day. 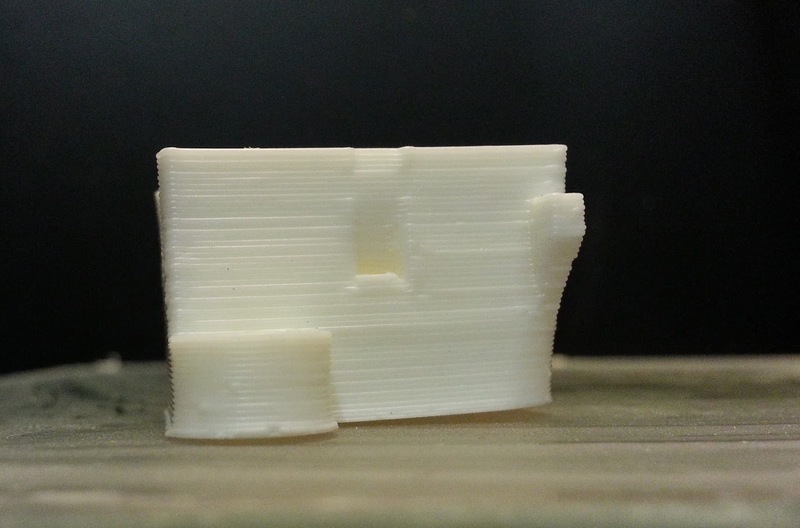 I print the first layer at 255C with the bed at 130C. The rest of the build at 250C with the bed at 112C. I think Google translate translates "printing" in German as "pressure". I think it is Polyetherimide (PEI) laminate. I tried some a long time ago, but being only 0.9mm thick, it simply bends with the warping force from the object when only held down at the edges. I don't know how anybody manages to use it. Same with the 1mm carbon fibre laminate that reprapsource.com sell. Yes I also have no problem printing them with ABS juice on glass. I have a couple of heatbeds from a prototype order that were made at ~0.7Ohms so just run them at 12V switched through a relay at 130C. I have noticed that the heated bed used on a printer I have been printing PLA exclusively for a long time now appears to have multiple baked on layers of hairspray on that don't wipe off with acetone so when I get a chance I am going to try and add ABS juice to that. Ultimately I would love a solution that did not the need for the acetone/abs juice wipe between prints. That said after the last "waste" of time on trying different stuff I might save more time by just treating the beds every time! From this post I came to know about the importance of ABS adhesion. Whether it is useful for all kind of materials or only for glass?